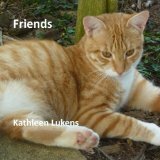 On Saturday (tomorrow, March 31) I'm joining my friends Debbie and Karen in a home show at Debbie's house in Lualai. Debbie sells jewelry - nice gold and silver pieces in a variety of styles and modestly priced - and she and Karen are selling their hand made aprons. They use lots of Hawaiian fabrics for the adults and really cute kids fabric for the younger set. They even have some mother and daughter co-ordinates. Of course I'll have scarves, shawls and pareau-size wraps along with note cards that include original photography and some of Jill Breaux's matted prints. Jill used to join us in our shows until she moved off island so if you were a fan, now is the time to get her prints while we still have some. We'll be there from 12-4 on Saturday and along with our hand made goodies will be food - you can't get together anywhere in Hawaii without food. I've convinced my neighbor to make some of her yummy tea sandwiches and there will be baked good and I don't know what else. So even if you're not in the market for shopping right now, drop by and join us for a snack and some good company. If you're interested in attending, email me for directions.